As 200Ks go, this one is a fairly known commodity, but it combines elements from different types of routes in one rarely found package: low in traffic, high on trails, scenery, frequency of services, and quality of pavement. We start early on Saturday from the Snohomish Public Library to avoid the hullabaloo of the Kla Ha Ya Days festival in Downtown Snohomish (and some possibly heavy headwinds later in the day); the early start allows us to enjoy cooler temperatures for longer, and the trail is less crowded (it promises to be a zoo once the 5K run starts at 8 am. Don’t be late). 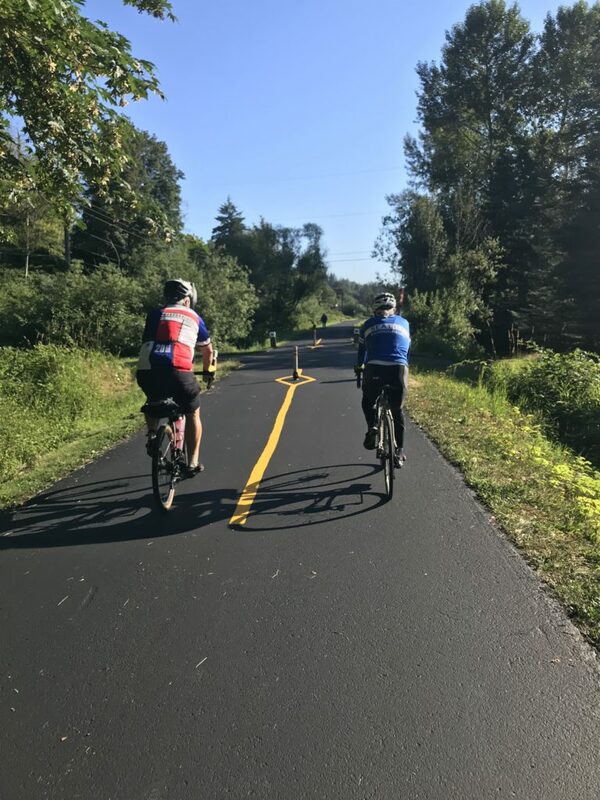 The first couple of miles are downhill – and feature very new smooth pavement – but the trail ventures gently uphill past the Machias store, and kicks up one more percent past Lake Stevens. You should have lovely views of the valley and the farms that line the sides of the trail. You’ll have a brief stretch of riding on Highway 9, but traffic volume should be low that time of day. You may begin to notice the first signs of a headwind or a crosswind here, but that bodes well for the return home. The first control at Lake McMurray is a delight: it features a fabulous lake view and a very happy control volunteer eager to apply her bicycle stamp to your card, but only if you don’t block the gas pumps; if you do, you will get a bit of a talking to. Please make sure you clean up your garbage/recycling here (the store is a one person operation). This is a wonderful opportunity to refuel and to support the local economy. But fret not if you forget something: a brief and easy climb on Highway 534 leads you to Conway where even more services are available. 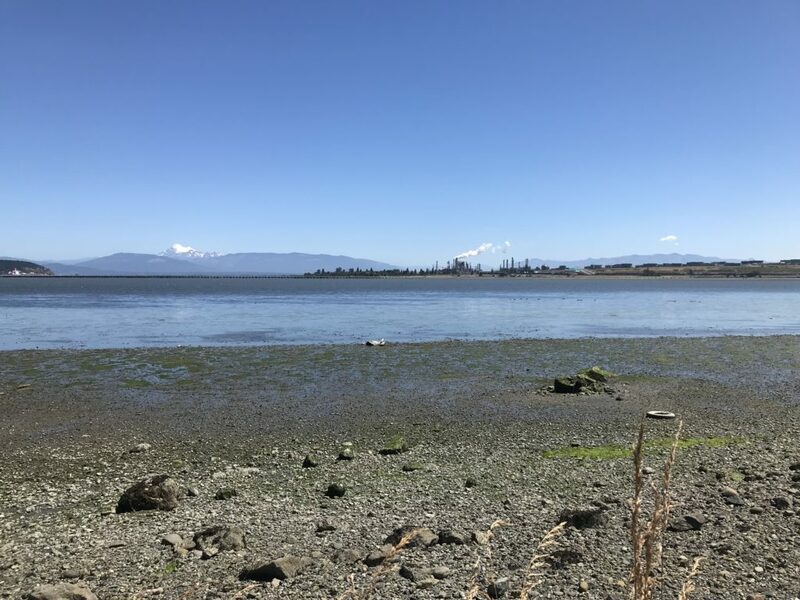 Once you get past Conway, you will be blessed with lovely views of Mount Baker and, as an added bonus, will not see traffic until you hit the right turn onto Best Road. 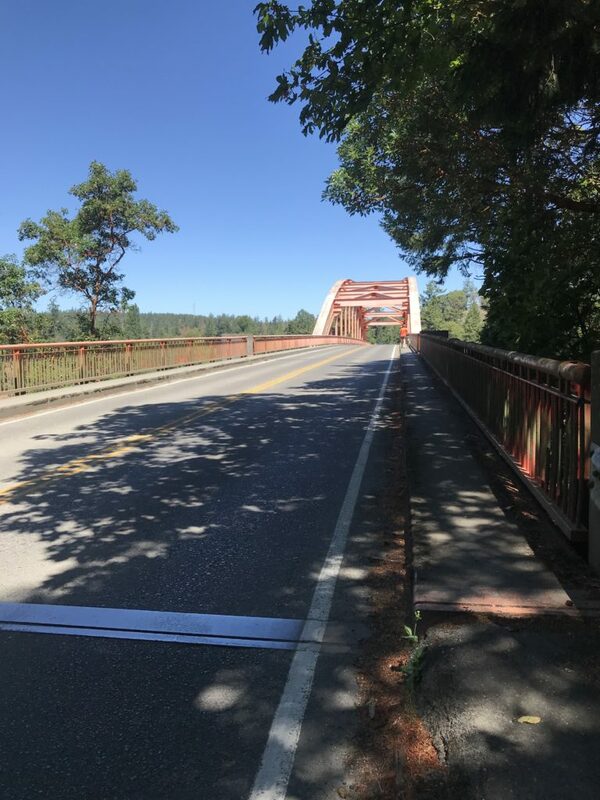 You’ll cross the Skagit River and find one more country store to refuel at (Rexville Grocery, can’t miss it on the right after you descend the Skagit River Bridge). 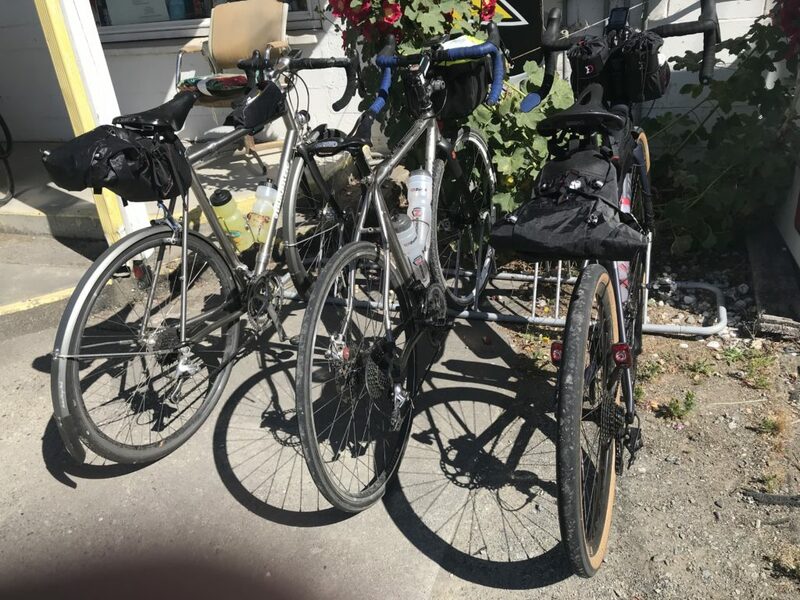 A short pedal brings you to lovely La Conner (a good coffee stop right as you enter town, should you feel the need) and our first possible hiccup: Maple Ave is easy to miss. Look for the Washington Federal Bank. Traffic was a bit higher than usual for the pre-riders because of Ragnar 2018, but you should have no traffic issues. The pre-riders found brief stretches of glass on Snee-Oosh Road, but the lovely water views more than made up for that risk. 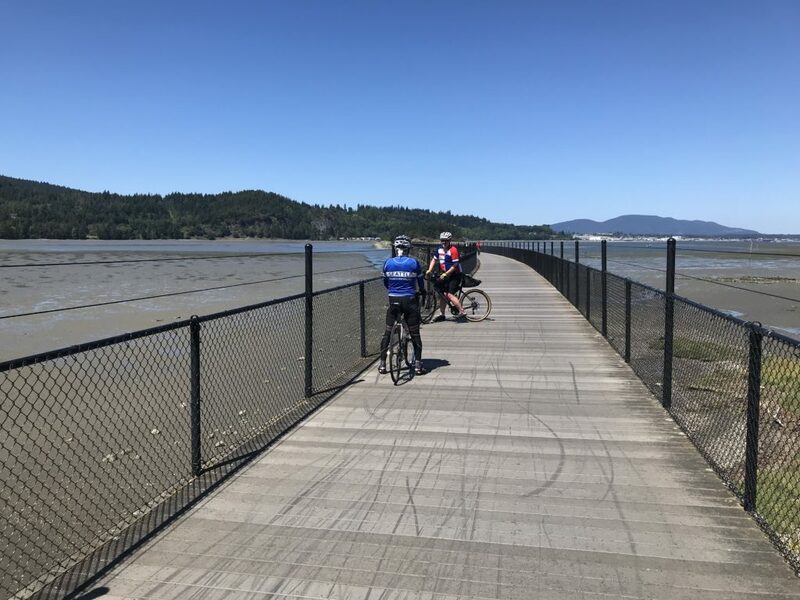 A brief battle with the headwind should bring you to one of the gems of the route: the Tommy Thompson trail that goes over Fidalgo Bay and brings you into Anacortes. On a hot day, the cool breeze off the bay will cool you right down and the water views will make you happy that you chose this ride. The trail does feature bollards, road crossings, and some weird chicanes, but it allows for a mostly stress-free ride into Anacortes. The Calico Cupboard is lovely and has baked goodies and savoury foods that are sure to please your tired self. There is also a tavern across the street, but we found service slow on a previous ride. For quick service, get things to go at the bakery. A sit-down meal is recommended here as you are more than likely to be blessed with a tailwind on the way back. The route is an out and back, so you will have the luxury of retracing your steps with few complications. The finish is at Trails End Taphouse, where eager volunteers will be on hand to shower you with kudos (and mooch free beers off of you). I was just out that way touring with friends a couple of weeks ago. Lovely area!